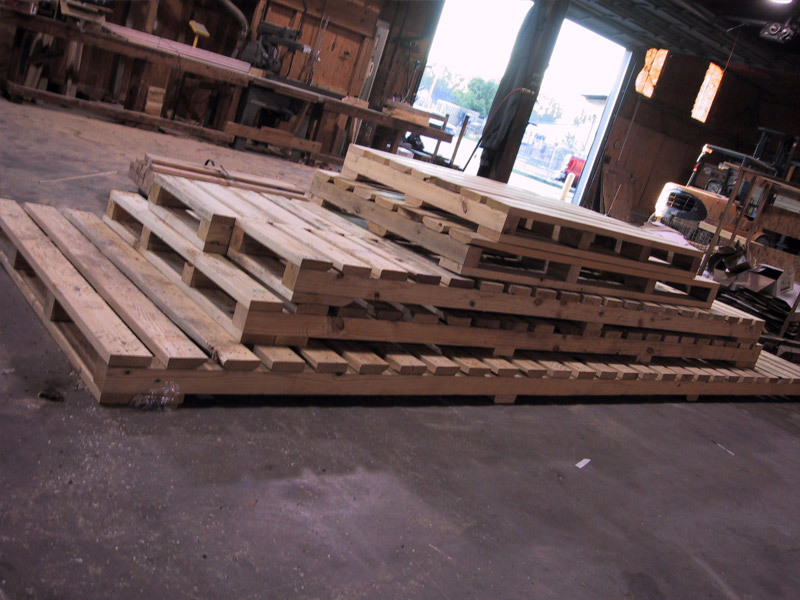 WM Lumber is a manufacturer of wood products used by small and large companies that require crating and/or palletizing of their products for storage and shipping. 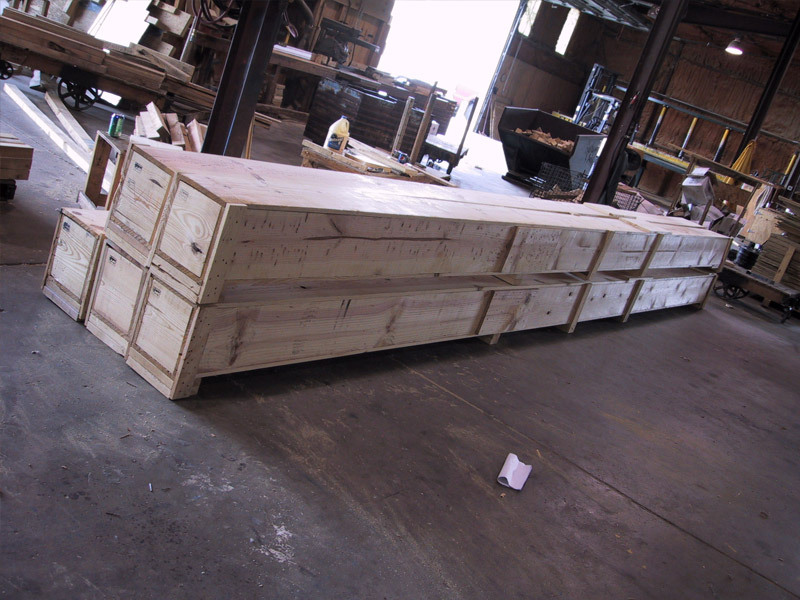 WM Lumber continues to meet and exceed the design requirements of even the most complex logistical problems. 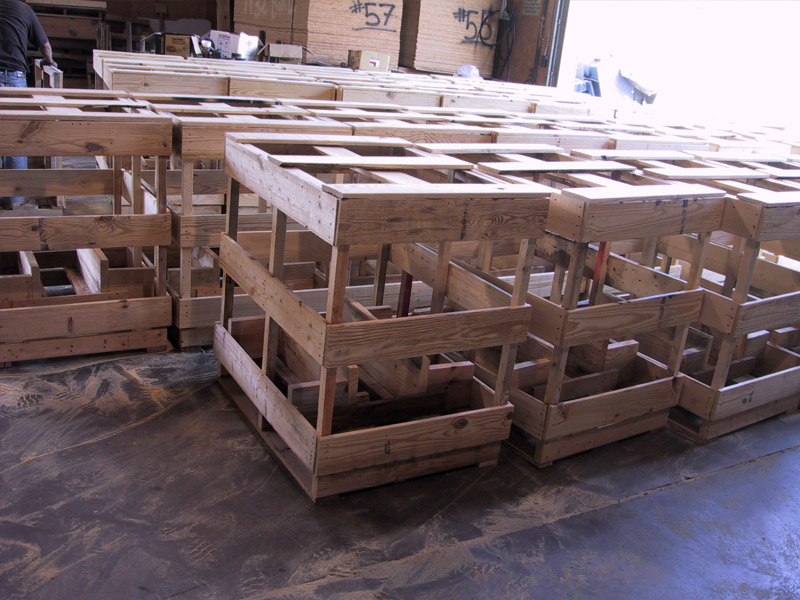 W-M Lumber and Wood Products, Inc. has been manufacturing wooden boxes, pallets, skids, and crates since 1971. 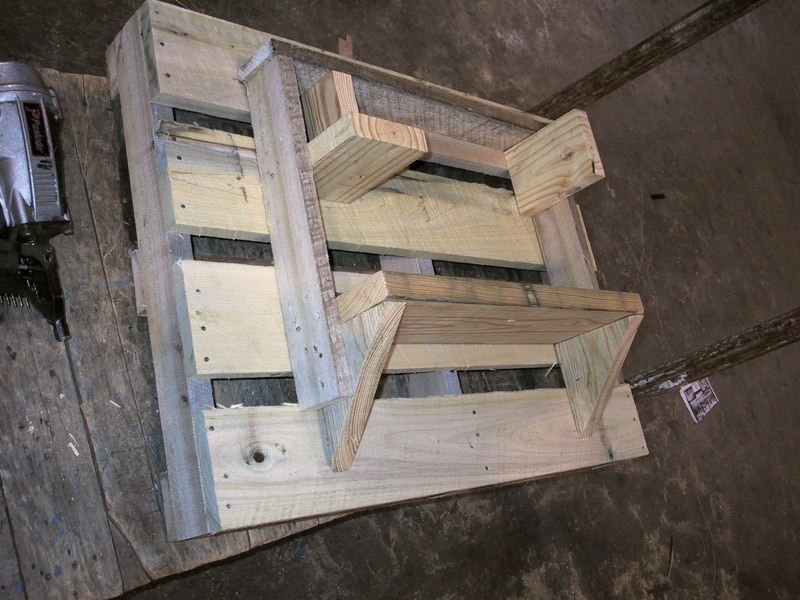 With over 39 years of experience we can design and build any wood packaging product for you. We use materials that meet European Union regulations and bear an official stamp from the American Lumber Standards Committee. 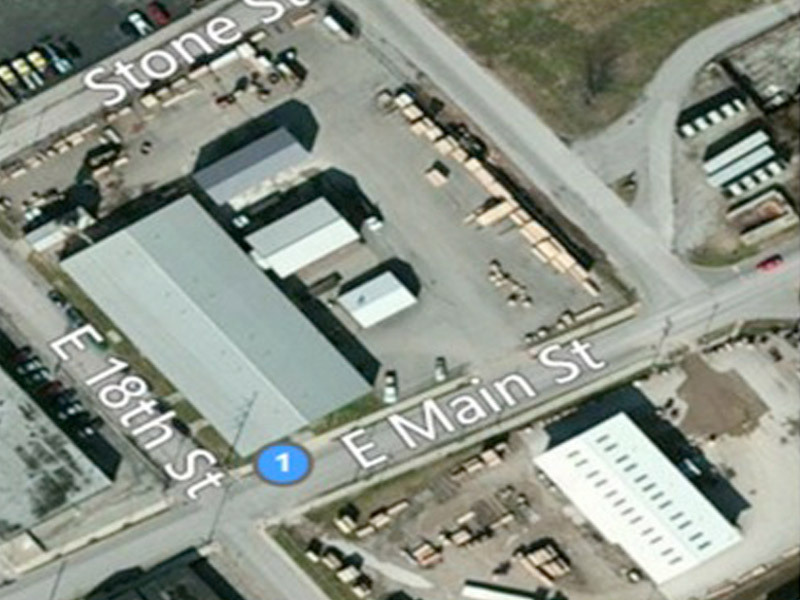 We are located 10 minutes north of Louisville, Kentucky. As users of a renewable resource, WM Lumber takes pride in our successful recycling and reclamation efforts. Not only do we consistently cut lumber to minimize loss, we also recycle the by-products of our manufacturing process by making it available to the general public for heating. Sawdust is collected in bins and used at a local horse farm. 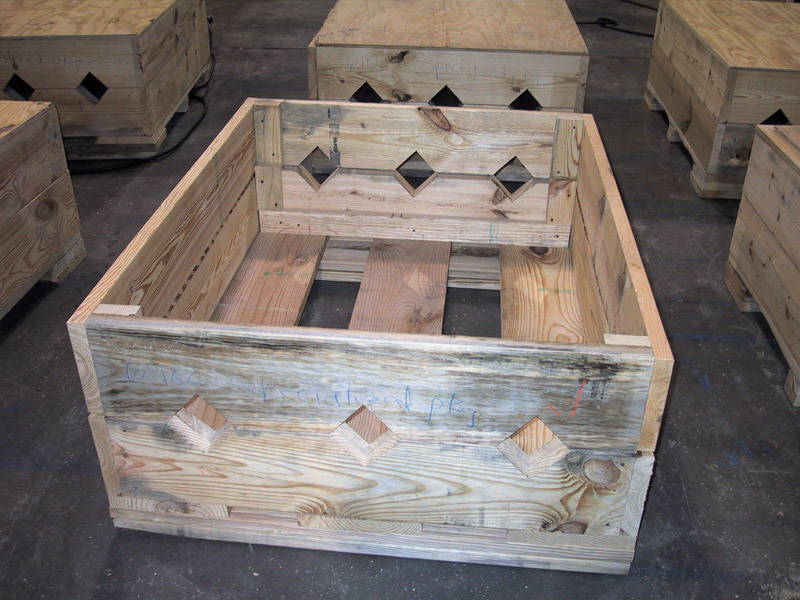 Raw materials used to manufacture export crates and pallets are heat treated to conform to ISPM15 shipping regulations. 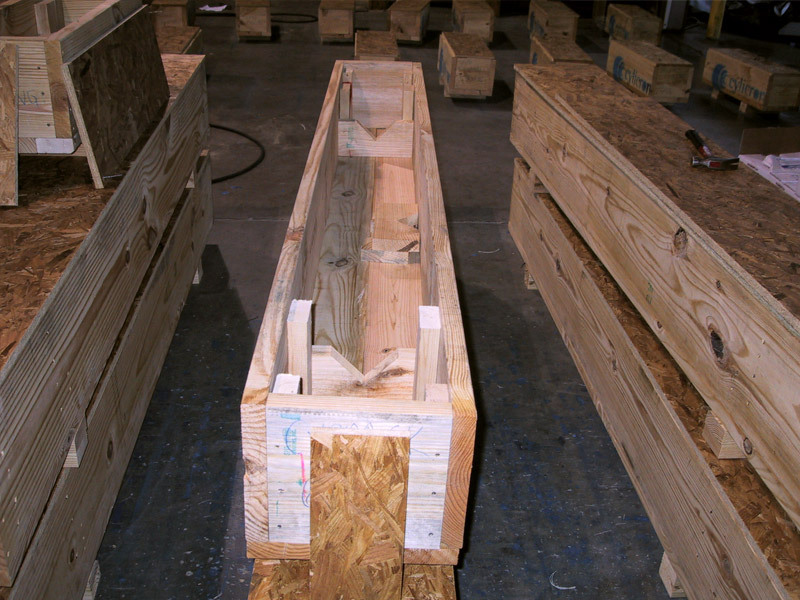 Our products manufactured for export shipments bear the IPPC and NHLA Heat Treated or Dunnage stamp. 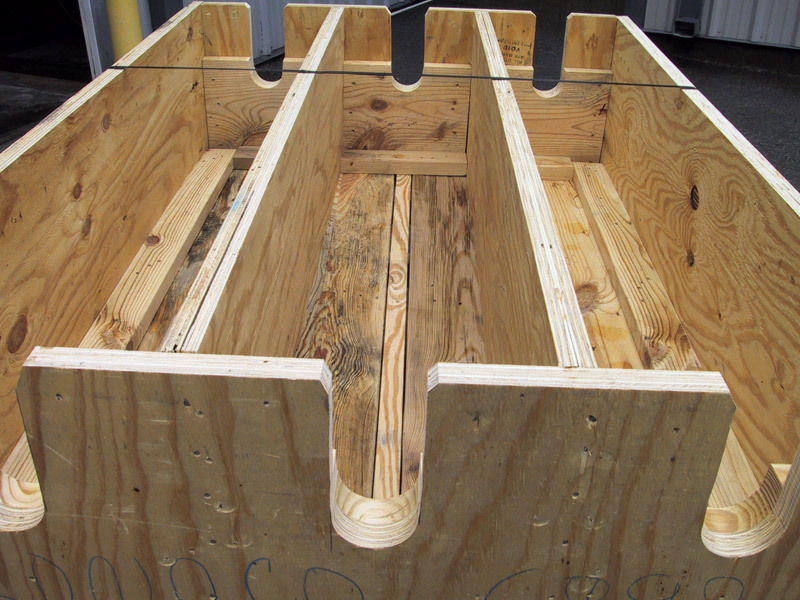 If you ship or plan to ship outside of the US, you may be required to use shipping crates, pallets, and dunnage that are certified as meeting IPPC heat treatment standards. "Driven by quality and service, our growth is an indication of our commitment to understanding and meeting our customers’ unique needs. 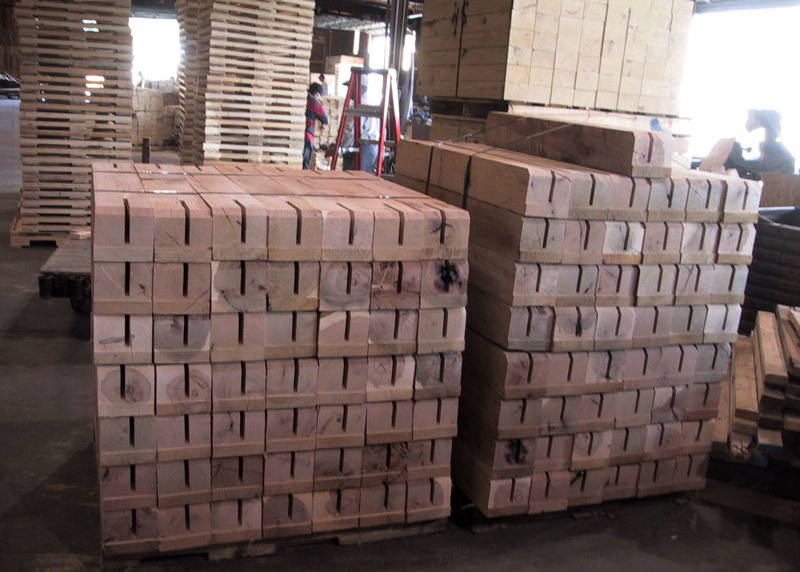 With two adjacent lumberyards, we maintain a level of inventory that rivals that of our largest competitors and enables our company to maintain our high level of service and response that our customers expect and deserve." ©2019 W-M Lumber and Wood Products, Inc.